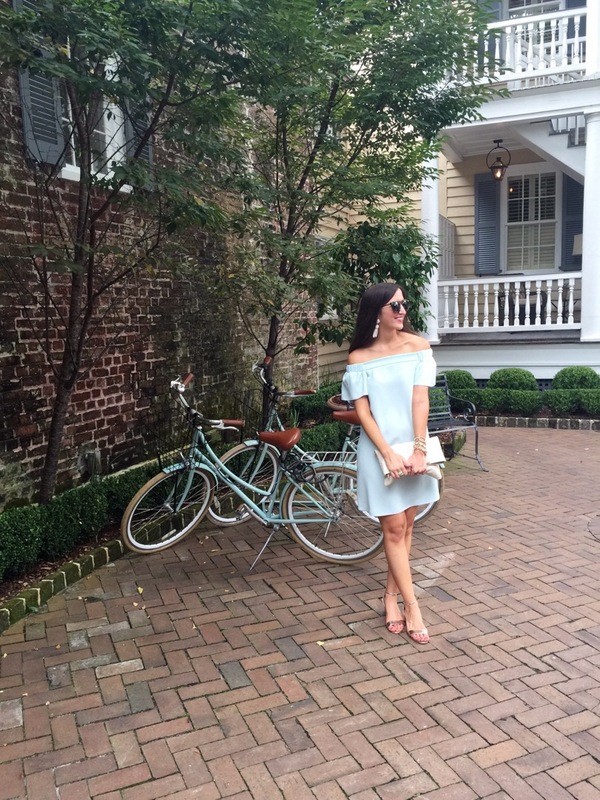 I’m going away, perhaps to Charleston…forever? No, but really. 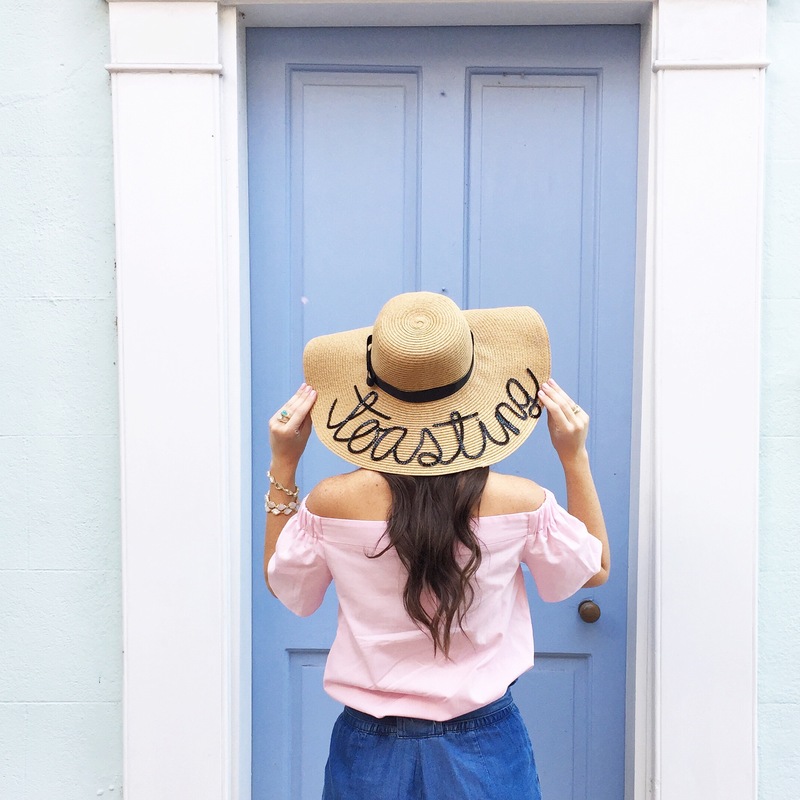 Charleston has always been one of my favorite cities to travel to and visit – whether it’s for a wedding, a Bachelorette (like my sister’s last year), the Blog Societies Conference or, of course, “just because”. I have always hoped that someday my life finds me there full (or part) time! 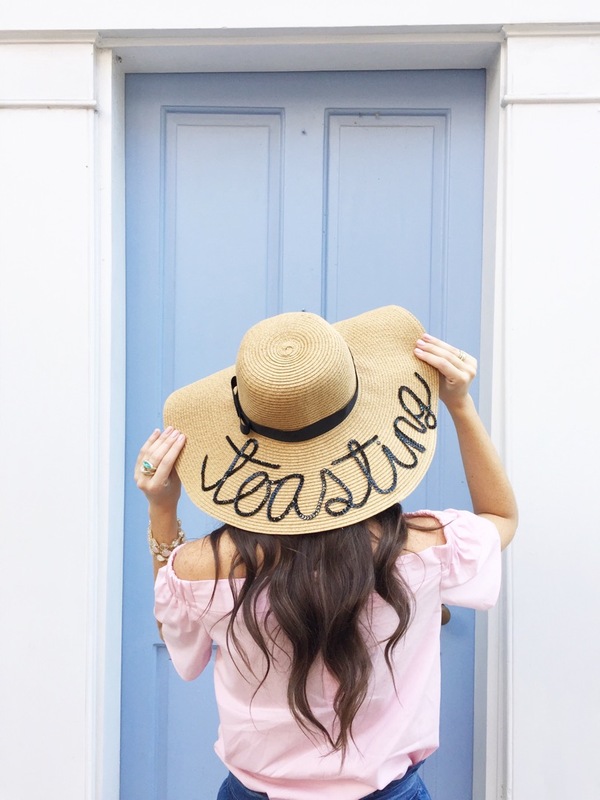 Before I even headed to Charleston on my most recent trip, I was spoiled at Spa Evangeline here in Tampa with a spa pedi and amazing HydraFacial MD®. I also made sure this freckled Florida girl was perfectly sunkissed with a airbrush tan by my favorite Air Brush Tan by Shan. 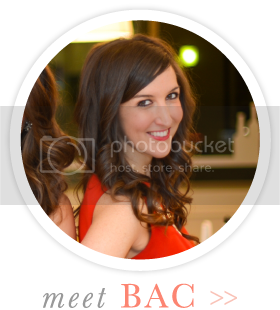 Once I was beauty-ready, I was lucky enough to head up there for a long weekend full of reunions, blogging and dining (and wine-ing!) so today’s post will recap some more must-do’s if you’re planning a trip to the Holy City soon too (take me with you, K?). This was my second stay with Zero George and as one would expect, it did not disappoint. Being greeted with a glass of bubbly upon check-in is my type of place and after being apart from my BFF Jenn for 6+ months, a “cheers” was certainly in order as she arrived from DC. Additionally, from the moment you step on property, the most accommodating staff is always present and goes above and beyond to make your stay the best possible. 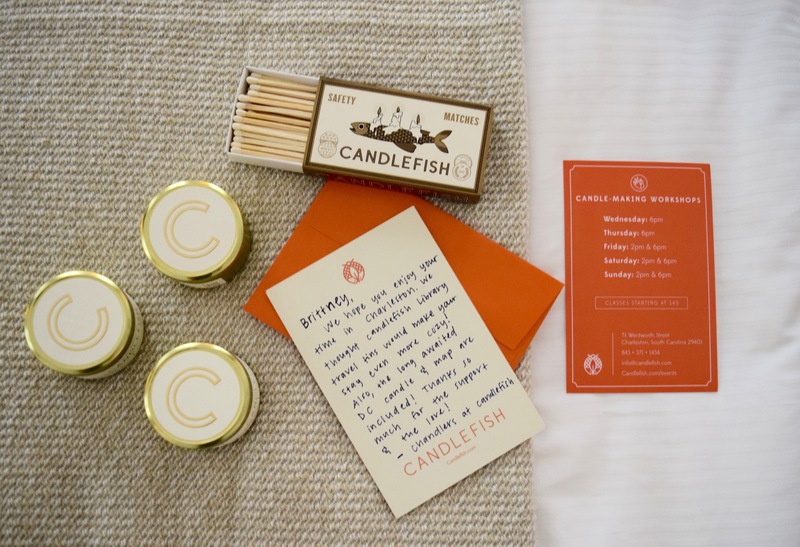 We were also surprised with precious gift bags from our friends at Candlefish with travel candles from their library collection and corresponding matches. A European Style Breakfast is provided every morning along with a 24-hour Miele Coffee + Espresso Bar. 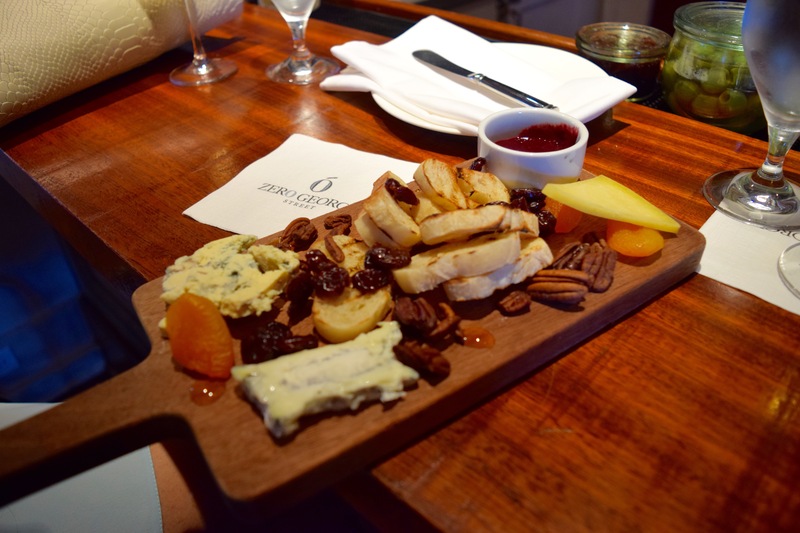 Every evening from 5pm-6pm, guests enjoy a complimentary “Wine + Cheese Hour” (now you see why I LOVE this place?!). 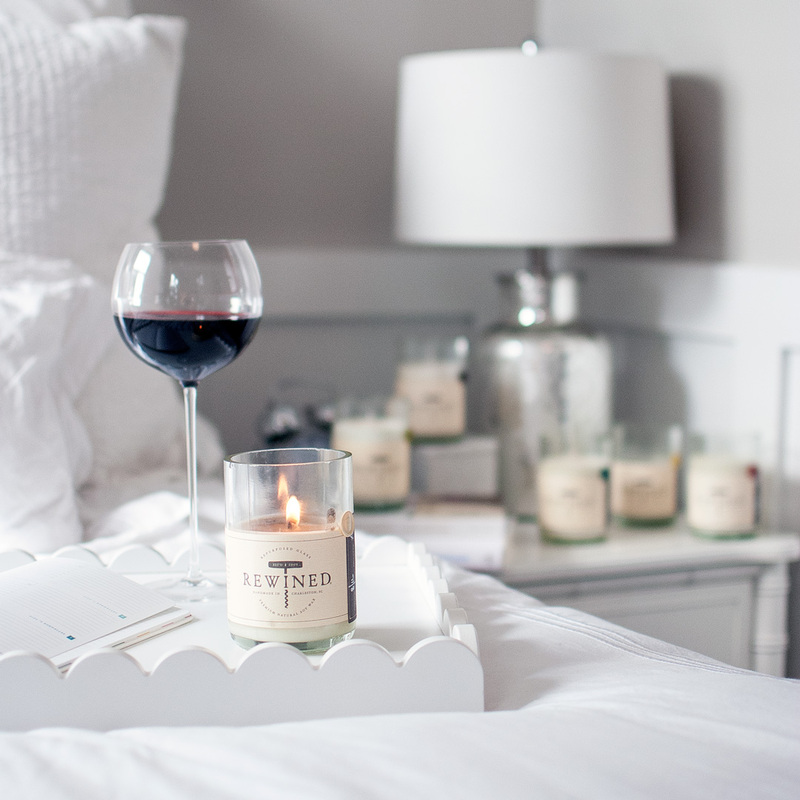 One evening we chose to have our wine and cheese boards brought to our room and enjoyed while we were primping. Another evening, we chose to have it brought our to one of the beautiful verandahs outside. As it was Super-Summertime-Hot that weekend in Charleston, I opted for white wine (Jenn still enjoyed her red!). We also enjoyed additional bubbles at the bar! 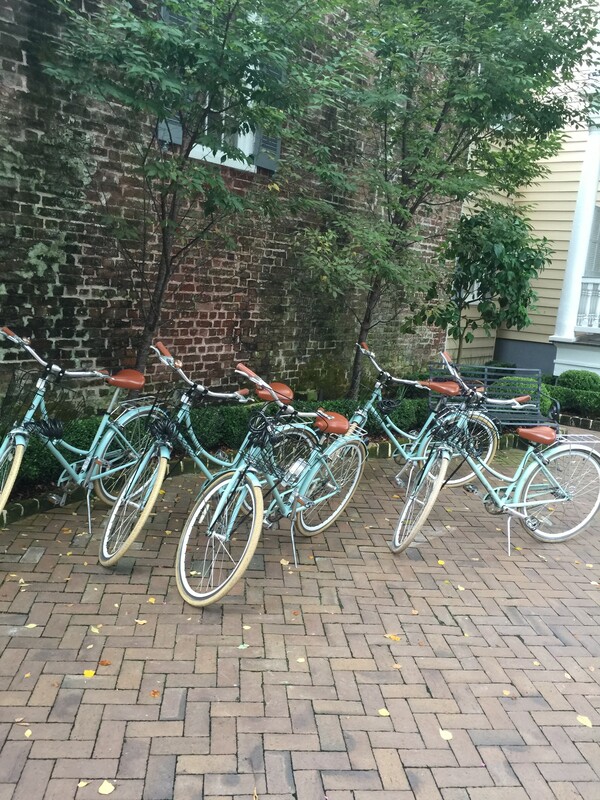 Other amenities at Zero include complimentary mint bicycle rentals (see my attempt in wedges the above video) and gym passes (we skipped the gym this trip!). 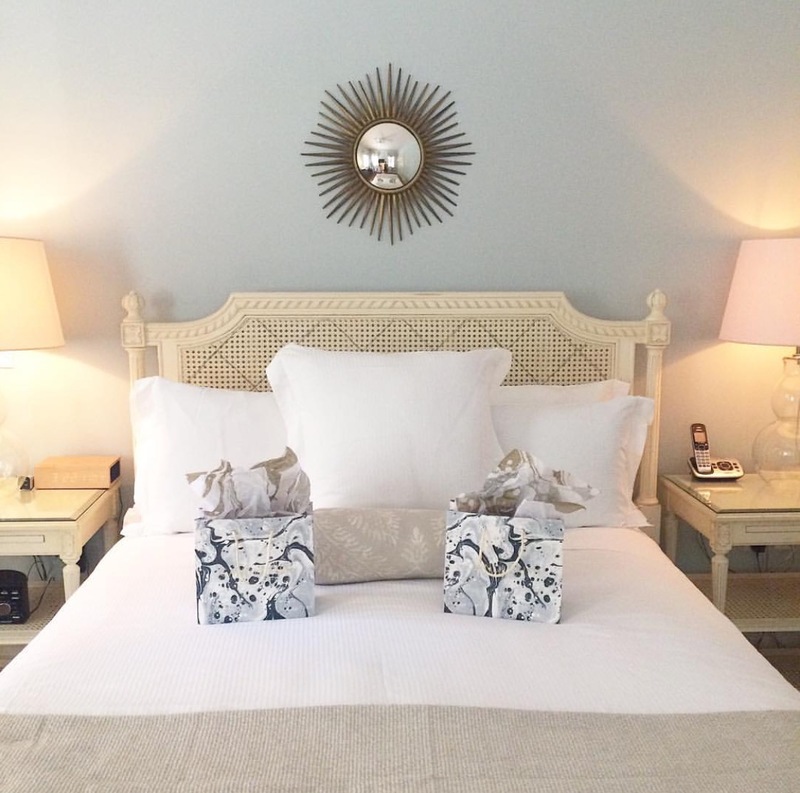 I think that one of the most charming parts about the individual guest rooms rooms is being surprised with which one you get! They’re all so unique and in different “houses” with original architecture. Charming, honestly, does not even begin to describe it, it feels just like you’re at home with beautiful white marble bathrooms and Malin + Goetz toiletries. Not to mention a perfectly curated mini bar with sparkling sodas, bottled water and a Nespresso machine that certainly came in handy for our early conference mornings. Zero George is not only beautiful to take in with its garden courtyards, Palmetto Palms, much-appreciated attention to details style (i.e. monograms on everything) and furnished verandahs, but it is rich in history with its five very historical homes. Allie and Hannah took great care of us that weekend and were so sweet to surprise us with Zero luggage tags on our last night (I mean, how perfect is that for this wanderlust heart?). Zero George is beyond H&T approved. 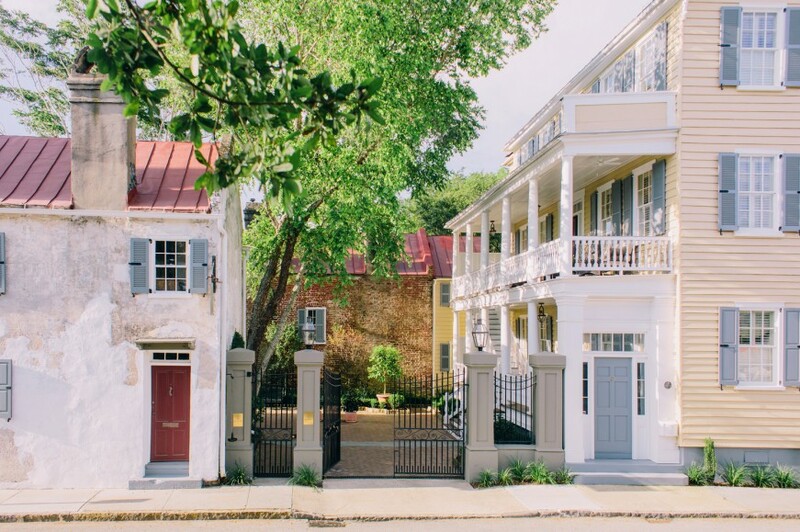 Highly recommended for a girls weekend, romantic getaway, celebration or for a first-timer in Charleston – experience Southern Charm at it finest- TRULY! I can’t wait till my next trip. 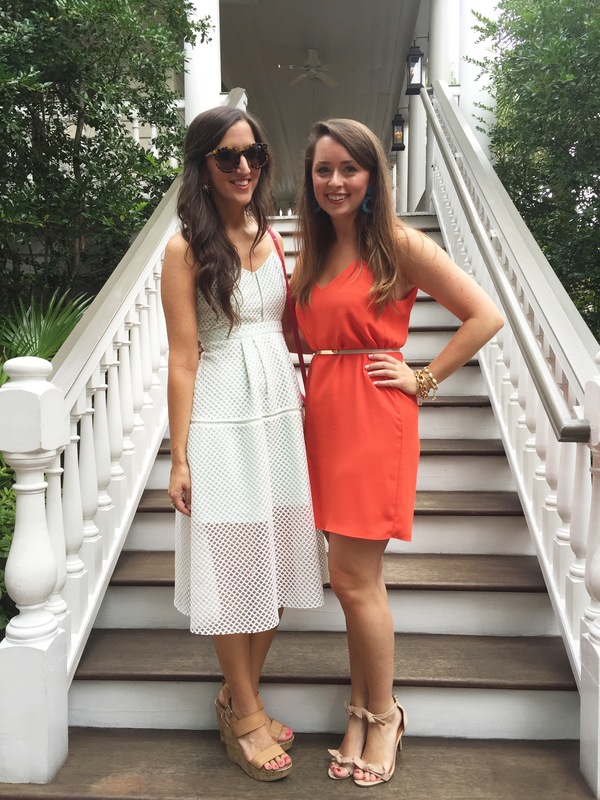 On our first night in Charleston, we enjoyed a cocktail party at the conference and then headed to Cannon Green for a special dinner party with Rewined Candles in partnership with the launch of their brand new Blanc Collection. 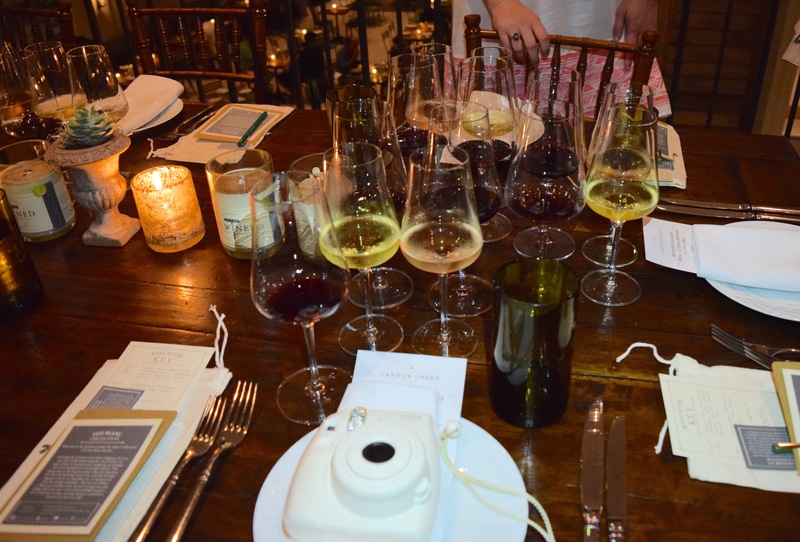 It was so much fun getting together with my blogger BFFs from all over – Kristin, Annie, Ashley & Jenn – plus members of the Rewined team for a perfectly crafted dinner and wine/candle “tasting”. Before this, I had only been to Cannon Green for brunch – but their dinner menu does not disappoint either. They also have plenty of gluten-free friendly options, which you know this girl was happy about! I enjoyed heirloom tomatoes with burrata, basil, beet green pesto and just the right amount of sea salt along with American red snapper and a lemon verbena pudding with blueberries and toasted oat crumble for dessert (also gluten free). Since we were celebrating the launch of Rewined’s newest collection – the wine tastings were perfectly paired to their new white-clear glass collection with scents like Rosé, Syrah, Viognier, Vinho Verde, Chenin Blanc and Zinfandel. 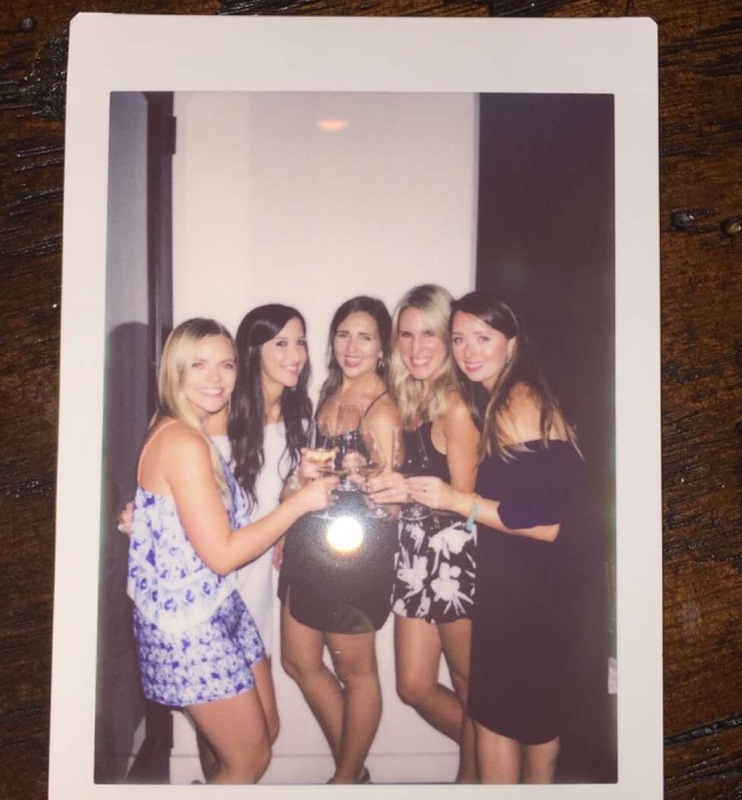 We made our own little wine passports and had a wonderful time with the polaroid camera too. I love these girls and this was pretty much my dream dinner since Rewined candles have filled all my homes for many years! 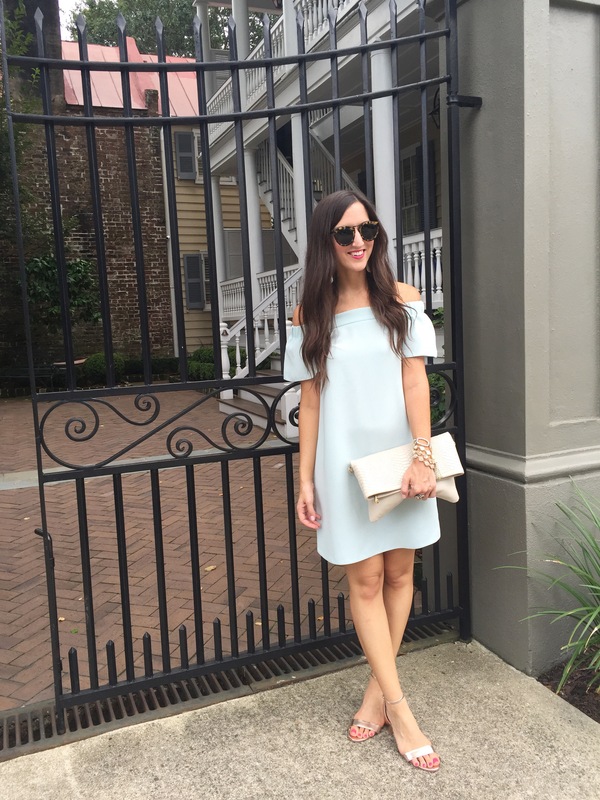 Jenn and I also headed to Prohibition in downtown Charleston for dinner on my second night in town. Prohibition is best known for its delicious craft cocktails and I will say that my Moscow Mule choice was hands-down the best one I’ve ever had. It’s no wonder it was voted “best cocktails” two years in a row. Anna, our waiter, was wonderful and the chef was quite accommodating as well to gluten free and other dietary restrictions upon placing our order. Jenn and I enjoyed ceviche, deviled eggs, grilled street corn, roasted cauliflower and Irish Coffee to top off our cocktails. Everything was impeccable and the chef surprised us with a few dishes too! It was the perfect stop before a night out on the town. Zero George was also recently named in Condé Nast’s Top 5 Foodies Hotels in the World. Yes, THE WORLD! And it’s easy to see why. As you might of figured out by now, much of our stay revolved around wine-ing and dining too (also, my kind of place). 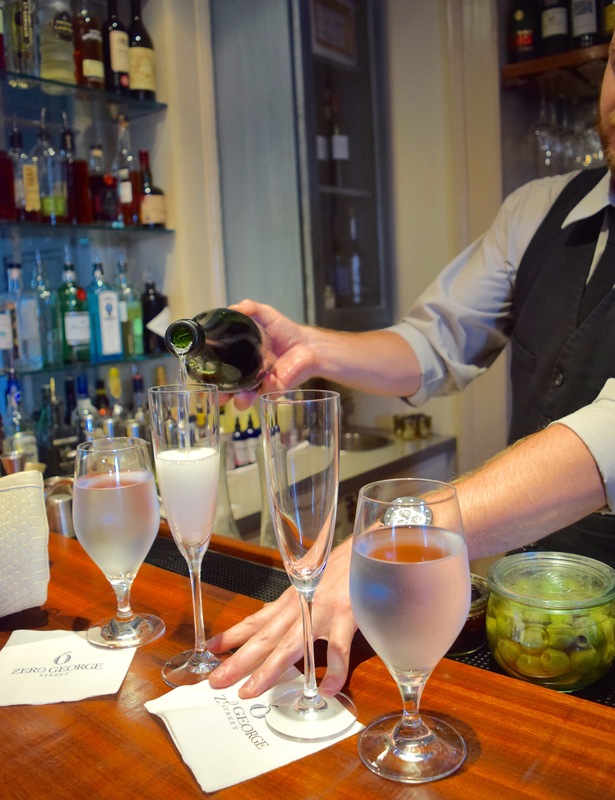 Their hotel restaurant has locally grown and seasonal ingredients along with a curated list of boutique wines and craft cocktails. 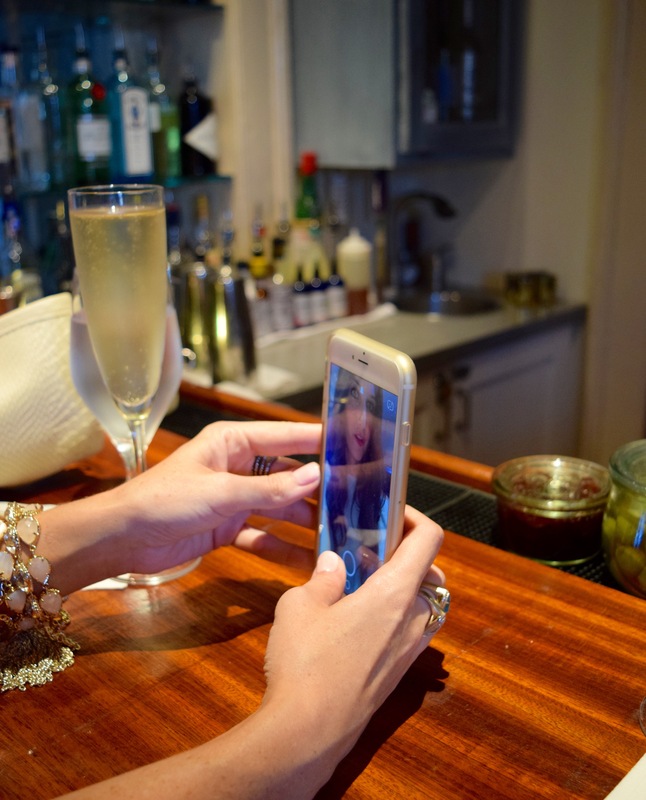 The Zero George Restaurant + Bar is perfect for guests and non-guests alike to stop in and enjoy a drink, heavy appetizers or an entire meal. Their dinner menus also offers five course tastings with wine pairings. Annie and I enjoyed multiple appetizers on my last night in town (she’s a full time resident – lucky girl!). The deviled eggs were my favorite, multiple glasses of Rosé were consumed and yes, more cheese.